The lazy hill house is the perfect focal pt. In any yd. It’s the Right size for a variety of songbirds. Our House is crafted of a long-lasting azek cellular PVC vinyl, an advanced material that gives you the look & feel of wood, with low maintenance. The redwood roof is made to endure the elements year after year. Each shingle of the redwood roof is applied individually by hand. We proudly make the lazy hill house in the USA. We Also offer posts made of vinyl & our natural cedar posts for those that prefer the unstained, rustic look. 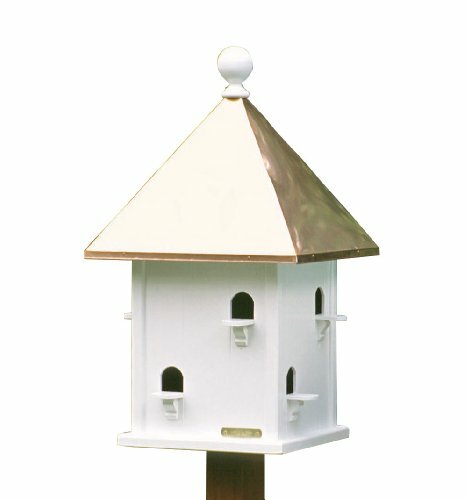 The Bell bird house is the perfect focal pt. In any yd. It’s the Right size for a variety of songbirds. Our House is crafted of a long-lasting azek cellular PVC vinyl, an advanced material that gives you the look & feel of wood, with low maintenance. We Also offer posts made of vinyl & our natural cedar posts for those that prefer the unstained, rustic look. 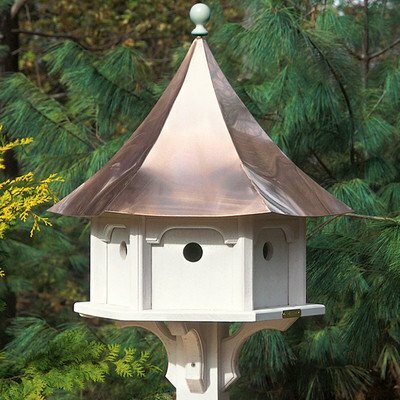 Our copper top will age over time to a natural patina, or you may choose a blue Verde copper roof that will give you the patina look right out of the box! 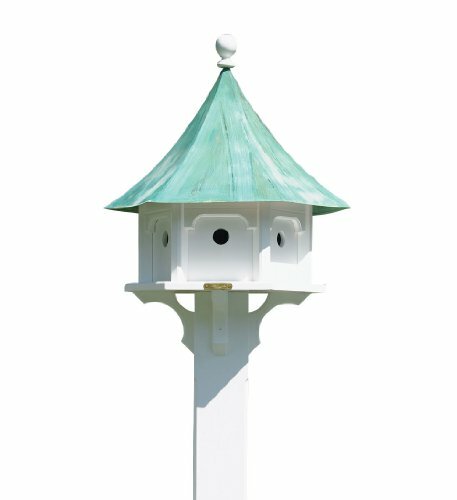 Add a classic touch to your bird feeder or house. The Lazy Hill Hammersley Post is made of solid cellular PVC vinyl. This post has the look and feel of wood, providing proud service no matter the weather, season after season. 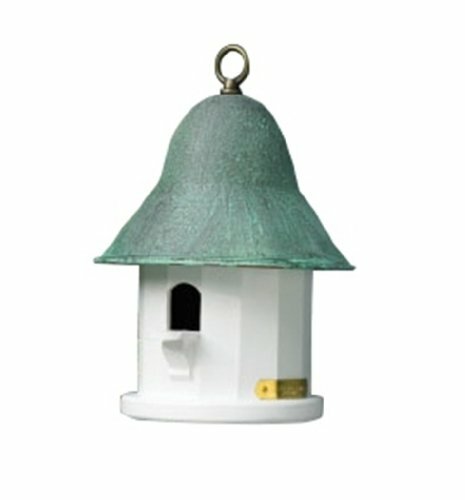 The Bell bird house is the perfect focal pt. In any yd. It’s the Right size for a variety of songbirds. Our House is crafted of a long-lasting azek cellular PVC vinyl, an advanced material that gives you the look & feel of wood, with low maintenance. We Also offer posts made of vinyl & our natural cedar posts for those that prefer the unstained, rustic look. 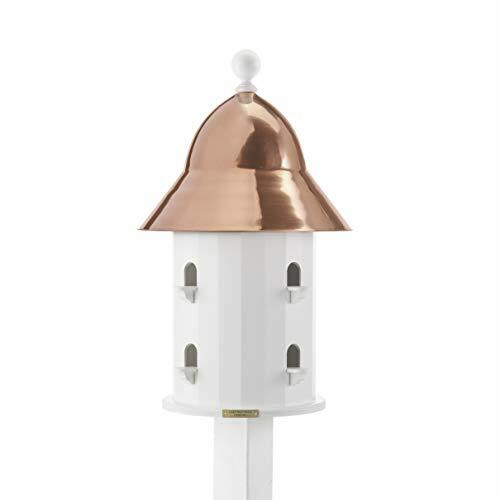 This bird house is also available with a polished copper roof. 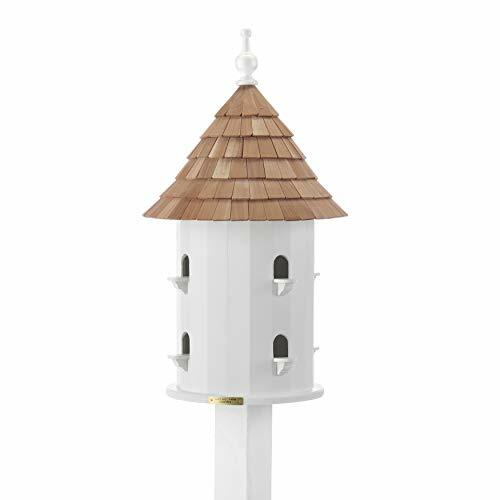 Add a classic touch to your bird feeder or house. The Lazy Hill Vinyl post is made of solid cellular PVC vinyl. This post has the look and feel of wood, providing proud service no matter the weather, season after season. 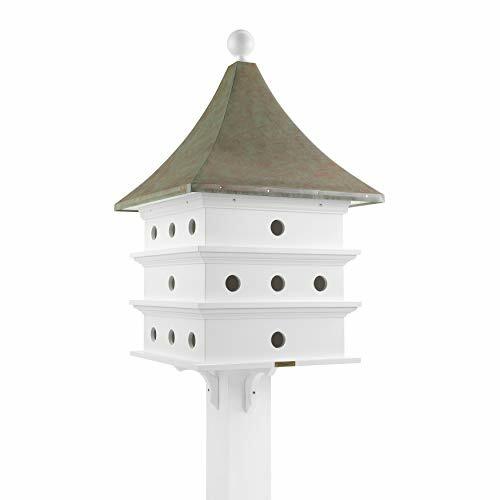 The base of our bird house is made of a solid cellular vinyl, a wood alternative that gives you the look and feel of wood, with low maintenance. 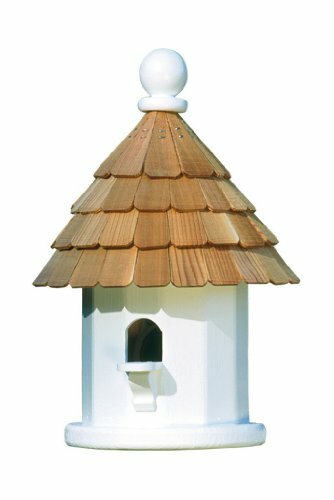 It’s a bird house that looks like wood, but lasts like vinyl. We also offer posts made of vinyl and our natural cedar posts for those that prefer the unstained, rustic look. Our Copper top will age over time to a natural patina. or you may choose a Blue Verde roof that will give you the patina look right out of the box! we dont offer it in verdi anymore. 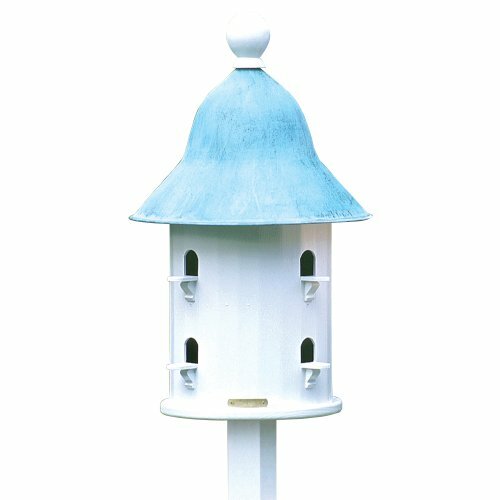 Add a classic touch to your bird feeder or house. 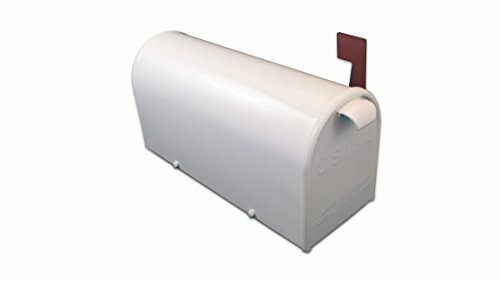 The Lazy Hill Boxford post is made of solid cellular PVC vinyl. This post has the look and feel of wood, providing proud service no matter the weather, season after season. Upgrade your Curb appeal with a new mailbox! 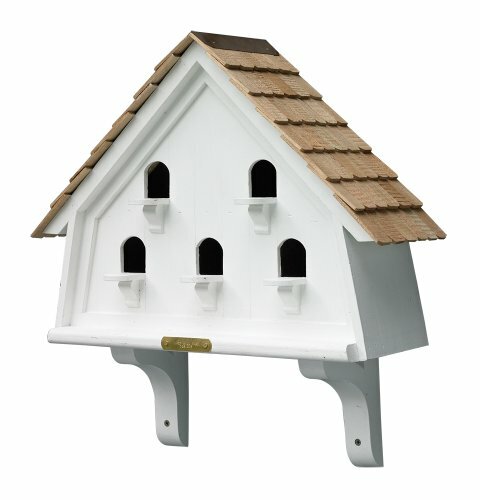 This handsome mailbox is as durable as it is stylish, providing proud service No matter the weather, season after season. 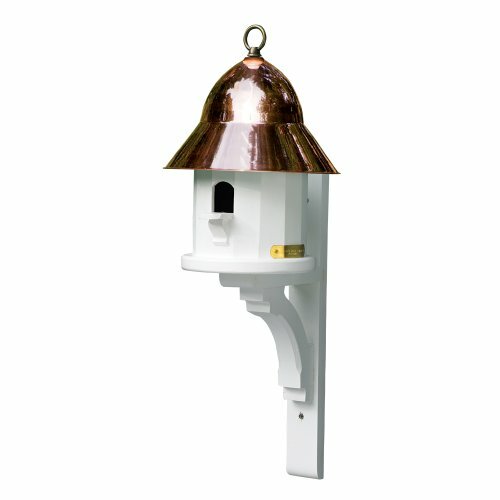 Our mailboxes have a baked-on electrostatic powder coating that ensures a great look & Long life. 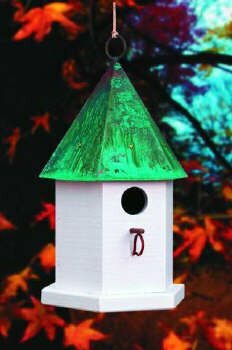 The Ultimate Martin bird house is the perfect focal pt. In any yd. Our House is crafted of a long-lasting azek cellular PVC vinyl, an advanced material that gives you the look & feel of wood, with low maintenance. 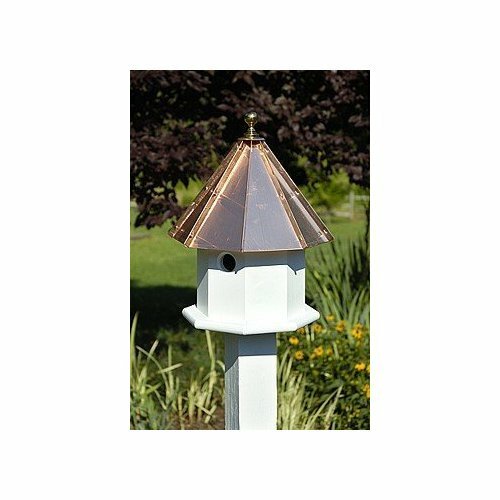 The beautiful blue Verde finish on the copper roof gives you the historic look of aged copper. We Also offer posts made of vinyl & our natural cedar posts for those that prefer the unstained, rustic look. Should you Clean out your Bird house???....YES!!! 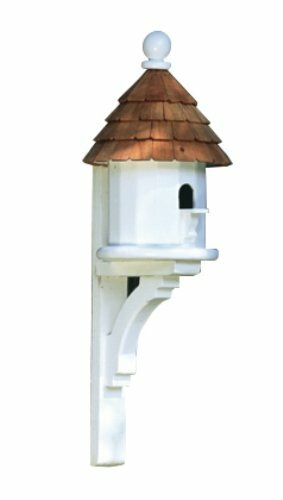 Compare prices on Lazy Hill Farm Birdhouses at Elevelist.com – use promo codes and coupons for best offers and deals. We work hard to get you amazing deals and collect all avail hot offers online and represent it in one place for the customers. Now our visitors can leverage benefits of big brands and heavy discounts available for that day and for famous brands.